No, it is not normal (or certainly not OK!) for dogs diagnosed with Kennel cough to be competing! This issue came up at some trials when I lived in California and people were livid with the folks (a VERY well known Doberman handler) who brought a dog who displayed clear symptoms of kennel cough. I did a quick google search and this is what I found for AKC rules. This is an extract that was posted on a yahoo forum for dog events and I included their "FYI" at the end. Note the part that it not only applies if your own dog is known to have kennel cough (or some other disease) but has come into contact with an infected dog in the past 30 days. (c) has been kenneled within THIRTY days prior to the opening of the show on premises on which there existed distemper, infectious hepatitis, leptospirosis or other communicable disease." Just an FYI.....If you have had KC or been exposed to KC w/in 30 days and go to an AKC event...you CAN be suspended/fined. The message that was posted was short and left out a lot of detail. The affected dog has been pulled and will not compete. The other dog who is housed with an affected dog has been asymptomatic for 30 days and has been checked by a vet yesterday. The vet gave a note saying this dog is fit to compete and got the all clear. The SDDA is new, so I may bring this problem up once I gather more information on how other organizations handle it (NASCW, CKC, AKC) and they may look into it and revise the trial manual. I decided I will compete. I'll put a red bandana on Chase so he cannot interact with other dogs or people. Once home I will keep him separated from the other dogs for the incubation period, just to be safe. All dogs in the household have been vaccinated for bordetella. Chase earned some ribbons. No title, I pulled him out of the vehicle search. Link to thread and picture. Congrats to you and Chase!! The first lecture for the online course I am taking was posted, now I am just waiting to get my odor kit from Leerburg, which should be delivered today! I am so excited to get all of my dogs started! And UKC is in the process of adding nosework to their events line-up. Last edited by Rosemary; 12-02-2013 at 08:10 AM. Thanks for the links, Rosemary. I joined the Open Nose Work Forum that is run by Margaret Simek, she is also the person teaching the course on the Fenzi Dog Sports Academy. Beginning January 2015, Nosework will be an official UKC event. United Kennel Club: Nosework Comes to the United Kennel Club! I'm sending my girls Limited Privileges Listing paperwork in next week. I am totally impressed with the NW class I just finished on Denise Fenzi's Dog Sports Academy. The class was taught by Margaret Simek, and she did a great job. After 6 weeks, all three of my dogs are nearly ready for their ORT, and if I had done a better job at training consistently, I'm sure they would be ready. There is currently one ORT scheduled in Texas, and I will be trying to get Guilty into it for all three odors. Possibly all of my dogs, but we will see! We will be signing up for the second round of classes, too, and I hope they are as good! Dogs Age: Lyla, Penny Pinscher, 4 years. I took Lyla to her first nose work class and had a blast. She did really well all the way around. And I might add, she was the best behaved and most focused out of the group. Yup, that's a moms pride talking. Can't wait till next class! There is an opportunity to gain a title in April!! We will see how he is feeling. I noticed at our first trial he was not very happy, a lot of new things were going on that just zapped him and he was very flat in his performance. Now I know what to expect in a trial environment, I can work with him and see if we can get him more relaxed. Yay! 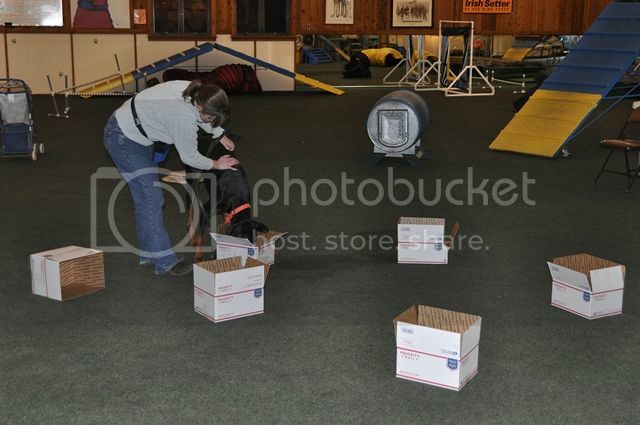 Just signed Baron up for a 4 week Level 1a: K9 Nose Work® Basics 1 class starting the first week in March. I have been watching for classes held during the day and they are finally offering them and it is only 20 minutes from home. Was just about ready to buy some books and/or DVD's to work at home (which I might do anyway) when I thought I would check the place again. I am thinking it must be getting more popular in this area as there are more classes being scheduled and also noticed some clinics, etc. scheduled in the future. So excited to do something with my boy again. Ivan starts classes Monday!!! Cannot wait! Brandy and I start classes again on Saturday! We're moving out of the intro classes and are starting to work on skill building! 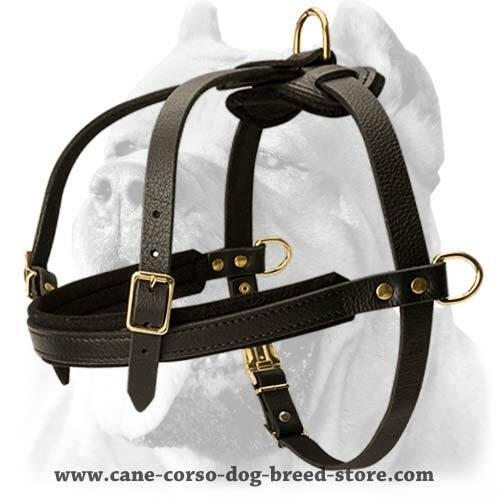 The instructor has that we will be: working perimeters, thresholds, & corners; independent searching; multiple hides; above, below, and under; leash handling; etc. Super excited!!!!! Leah Gangelhoff is a Certified K9 Nose Work® Instructor and an NACSW™ Senior Faculty Member. Before the sport of K9 Nose Work® was born, Leah studied under and trained dogs in narcotics detection with Co-founders Ron Gaunt and Amy Herot while living in Los Angeles, logging upwards of 1000 hours from 2004 through 2006. 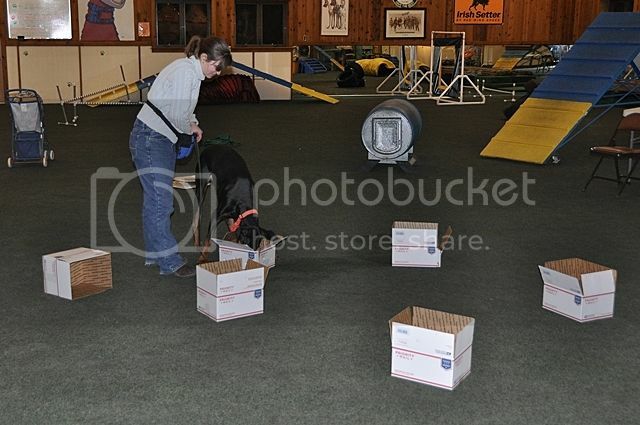 Leah currently teaches all levels of K9 Nose Work® Classes in Birmingham, AL. As an NACSW™ Senior Faculty Member, she co-teaches K9 Nose Work® workshops and skills clinics with the Co-founders, is active in developing and teaching Continuing Education Programs for CNWI and ANWI, and offers coaching clinics to handler/dogs teams across the country. Leah serves as a Certifying Official and Judge for NACSW™ sanctioned K9 Nose Work® Trials and as a Certifying Official and Judge for K9 Nose Work® Odor Recognition Tests (ORTs)." You have to be training for 6 months so, of course, we would not be eligible to attend. But, it is really nice to see more events and classes in our area. I am so hoping Baron enjoys it because we might see another title in our future if he does OK. I was a little bummed with myself that we didn't continue with his obedience to at least try to do Utility Dog. But after he got his CDX, it was just after our stressful move and in the middle of the major remodel and was just too much going on. Also, with his age an DCM, I never want to put any stress on him. Lois, even though you and Baron won't be able to do a working spot, why not see if you you can get an audit spot. Thanks. Good idea. Going to check it out because it is being held just down the road about 10 minutes from where we live. If it is an NACSW trial, I would suggest that you volunteer at the trial. I found that I learned so much just by watching as a volunteer. The best views are as a timer or videographer (or judge's steward). I'm waitlisted for the first local (neighboring state) NW1 trial of 2014. We're halfway down the list of about 25 so won't get in. Long wait lists. Going to enter the next NW3 and NW1 trials this summer so maybe will get into one of those. There have been more ORTs offered in our area so hoping that more trials will be offered too. Wondering what your experiences have been in trialing (or training) in various weather conditions. Maiya trialed on one of the hottest days 2 summers ago and did not do well at all. Only 6 dogs titled that day. We do best on cooler (or colder) days. DH and I attended one of the trainers advanced classes this morning just to watch and talk with her. I love her already and loved watching the class. So now really looking forward to our class in March. Also ask if I could sign up for the seminar as a spectator and she said definitely. So going to do that also. I noticed while watching the dogs in this class and also watching some videos that a majority of people use a harness. Any recommendations on a good comfortable one to buy for a Doberman. Thanks in advance. I also know a lot of people using a Julius harness and swear by it. Vixie has a ComfortFlex that is a little too big, but it works ok. Thanks for the harness suggestions. I'm also looking into harnesses for Ilka and Leo, because I think I want their tracking harness to be for tracking only, and have a different style harness for nosework. For NW, I use a ComfortFlex. Maiya chews on her harnesses when I leave her alone and for NW, she is in and out of the car several times so I needed something that it is quick to put on/take off. I use a different harness for tracking. Ivan had his first class last night. I think we'll breeze through this first round of classes considering his background and the fact it's a game we've played all along - finding food, but it's fun to do it at a new location and then eventually be able to take it to another level. They also said they'll let us train on any scent we're interested in the dog finding. I'm gonna do the standard ones so we can trial, but I'm also gonna bring in some human remains since I have access. Because Ivan will never be deployable for SAR I've never wanted to waste the team's training time working with him just for fun (HRD would be new for him, so I'd need help; We trained live find. ), but if I can train him elsewhere and then let him run a cadaver setup at SAR training without wasting any of the team's time, why not? And to remedy something HORRIBLY WRONG with this thread. . .I'm posting pictures. I can't believe there haven't been pictures! You're right! No pictures is very wrong...thank you for fixing that! Here's the video of our ORT this November (Birch). You can see that she was very distracted at first, but once she got down to business there was no doubt! Sorry about the camera flip in the middle, my mom was taking it and didn't realize it would do that! Last edited by Meldrew79; 02-11-2014 at 10:09 AM.